Not sure which tent is best for your needs? 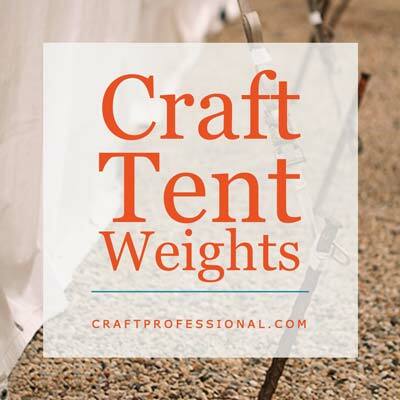 Save time researching with a Printable craft tent comparison chart. When you decide it's time to buy a canvas canopy for your craft booth, there's a lot to think about. Price is often the first consideration, especially when your business is new, but there's also weight, durability, size, color, availability of replacement parts, and accessories to take into account. If you've started to research tents, you'll know that it doesn't take long to feel a bit confused by all of the information. There are plenty of popular brands that make portable tents that are suitable for use at craft shows, and most of those brands offer several different models of canvas canopies. I remember when I bought my first 10 x 10 canopy, I felt overwhelmed by all of the information. I really could have used a good way to record and compare all of the information in an organized manner. 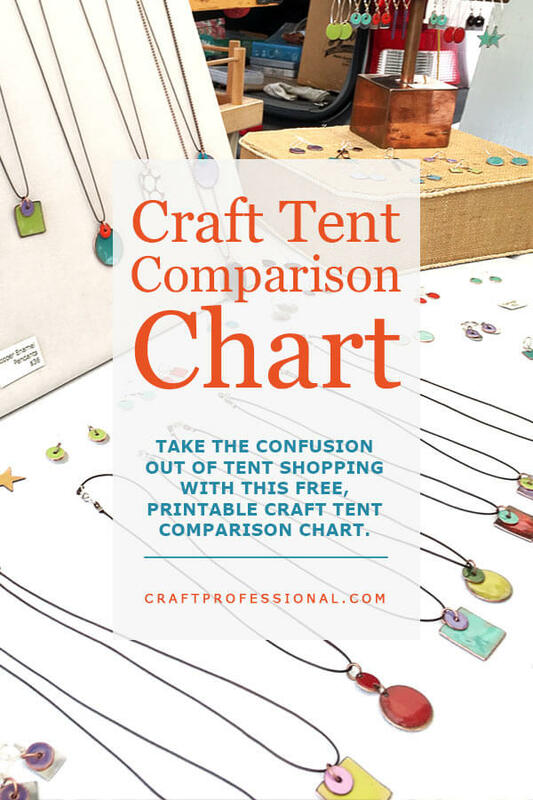 That's why I decided to put together a handy Craft Tent Comparison Chart (click the link to download the free chart). 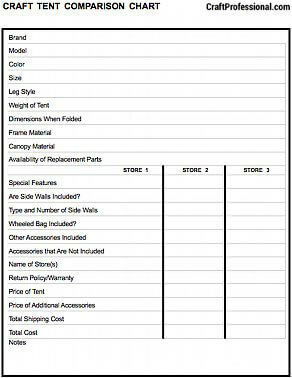 This chart allows you to record all of the relevant specifications about a particular portable canopy that your are considering and compare prices for that craft tent at three different stores. You can print out as many copies of the chart as you need so you can compare as many different brands and models of tents as you like. There are also detailed instructions for using the chart and links to several articles to help you decide which portable canopy is right for your needs. I hope this chart helps you to organize your information and your thinking and simplifies the process of choosing a canvas canopy for your craft booth. Best of luck on your search for the perfect portable canopy! Below are links to a few popular craft tent brands available on Amazon to get you started. These links are affiliate links, which help support this site. If you click through and make a purchase, I receive a commission at no extra cost to you. 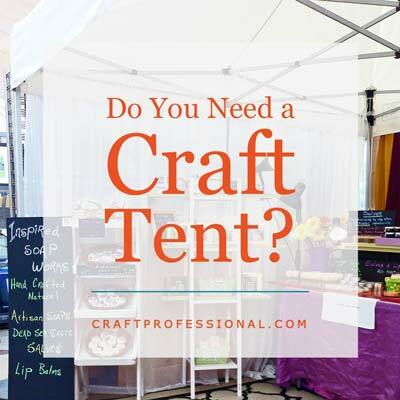 Is it time to invest in a craft tent? 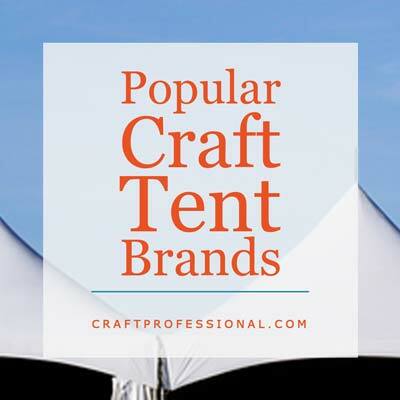 Wondering which tent brands are popular at craft shows?